For the last 3 months we’ve been covering Naoko Yamada’s career through a series of articles and translations by megax, but all good things must come to an end. As a final gift, here’s an interview about her latest film. No actual spoilers beyond the premise, so go ahead even if you haven’t seen the film! A Silent Voice is a story from Yoshitoki Oima’s manga where high schooler Shoya Ishida reunites with Shouko Nishimiya, a girl whom he had physically/emotionally wounded when they were elementary schoolers. Through their exchanges, Shoya begins to change. The manga itself placed first in the boys category of “This Manga is Amazing! 2015” awards and in the “Comic Natalie Grand Prize 2014” awards as well as winning the “newcomer” award in the 19th Tezuka Osamu Cultural Prize Awards. It is published in a total of 7 volumes. 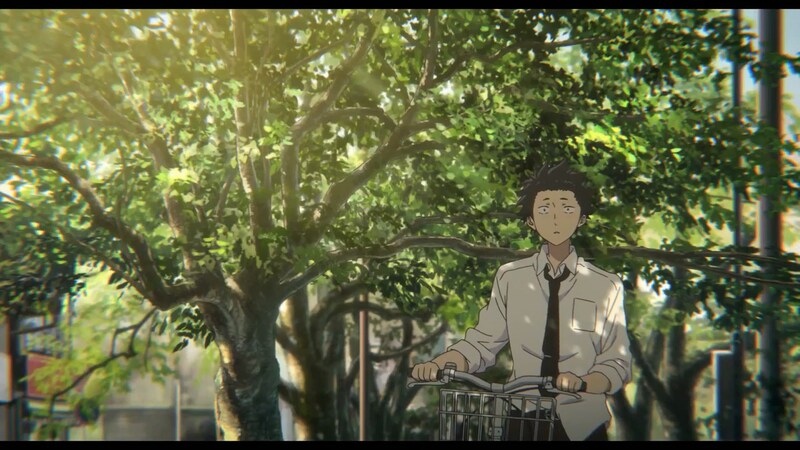 – Originally, the plan to make A Silent Voice into a film started at Kyoto Animation, right? Yes. We were told “Next we’ll be doing A Silent Voice.” When I heard that, I thought “Who’ll be directing that?” “I want to do it!” but I hadn’t been asked to direct it then. – You felt like “you wanted to direct it” at that moment. Were you fond of the manga then? Reading it was a bit of a challenge for me, since I grew to love it yet felt it was very emotionally difficult (laughs). However, a lucky thing happened and so I was glad I was able to be spoken to about directing the film. – Since then, you’ve read all of the manga. What impression did it make on you? I think the fans of this series would certainly understand this, but this isn’t just a story that depicts the bullying of hearing-challenged people. It’s a series that also depicts the softness that lies within the harsh portions of our hearts and doesn’t overlook the important portions of that. Generally, everyone wants to connect with others and we all have people that we wanted to get to know. In this story, you sense that the characters’ true emotions feel like they clash against each other, so if you read it, you’ll fall in love with it while you read it. That’s why I was really happy to be the director of the anime adaptation. – The manga depicts the elementary school time period in one manga volume. The film also feels like time was carefully allotted to carefully depict the scenes of Shoya in elementary school. Since one side of A Silent Voice is a work about the boy named “Shoya Ishida” born in its world, I thought about how to present it; how to carefully depict his life and how I wanted to get everyone to synchronize with him. Due to that, we couldn’t avoid thoroughly detailing the beginning elementary school scenes. 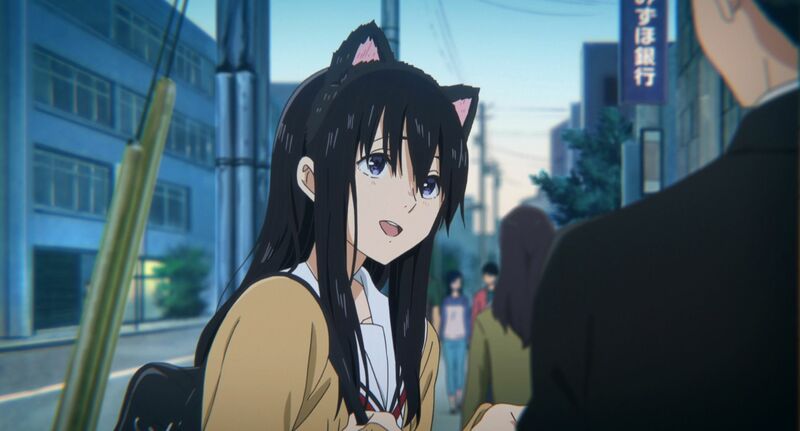 Also, it’s necessary to properly depict his stance towards people like Shouko Nishimiya. However, Shouko isn’t just the constant bullying target for Shoya; this is where her stubborn will is born, so I wanted to thoroughly depict the bullying section. As it’s connected to them as high schoolers, I couldn’t avoid dirtying my hands in the elementary school portion. – Covering 7 volumes of manga into one film must have been incredibly challenging. – Hahaha. So at first, you would leave it to Yoshida-san. From there, how did you reduce it to the final script? As I had a lot of conversations with the mangaka, (Yoshitoki) Oima-sensei, I was taught a lot about the series which allowed me to select what to include in order to create a purer and higher quality work. She also has a lot of emotional connection to this work, so the amount of information I received from talking with her was immense. I had to very carefully consider what was right to include from the sea of information she gave me. She informed me of a lot of things. Upon listening to her, I was able to reconstruct the movie into something practical. Manga published in a weekly magazine must feature entertaining tales published each week for the reader to enjoy. I think this is a brilliant work, and as a manga itself, I feel it’s perfectly complete. However, if you use the same phrasing in the movie, and just copy over it frame-by-frame, then you have nothing but an ordinary digest of what happens in the manga. If you do that, then it’s useless to make it into a film. To do the job we were given, it was necessary to create a story where you get close to Shoya Ishida in order to properly make it as a single film. And above that, there are scenes where the presentation of that scene changes on the surface, but that probably isn’t different from saying that someone’s core is wavering. – Surely there are lots of points where people who re-read the manga after seeing the film will think “come to think of it, this scene was in here too.” It’s not different from the explanation that someone’s core is wavering, but there weren’t any scenes that felt out of place when watching the film. Since our first objective was to create a movie [rather than simply copying the original], we used various schemes like changing the way we approach scenes so that people can sense similar images and similar energy between them. – One of the charms about the manga is that it’s not just solely serious scenes; there are also scenes where you unintentionally giggle while reading it. It felt like you also thoroughly depicted that in the film. I thought the way the manga balances those serious scenes and laughing scenes was amazing, so I wanted to preserve those portions as best I could in the film. – In the works you’ve directed, there are a lot of scenes you’ve directed where some meaning is conveyed by the use of leg scenes or fish-eye lenses for example. A lot of fans have also thought about how well you’ve directed those scenes. Reading their insight is very entertaining. – They’ve been used in your previous works, but also in A Silent Voice, there are moments where cuts of flowers are inserted into scenes. I wonder if you intended to use some sort of flower language in those scenes…. Or so I imagined you did. …..Surely there is some intent in it. – Right. Were there any portions that you concentrated on the way you presented the visuals like that for this work? Every time we would decide on a concept of “a form that doesn’t appear on the surface” and so we would make the visuals oriented towards that concept. However, there are things we’ve hidden in that concept, so I can’t divulge them. Hehehe (laughs). What I can say is that I wanted there to be no stress felt in the color shading of the film. I thought that this work’s nature might be receiving serious conversations. All of the young characters would be troubled, but the world they live in and around them wouldn’t worry them. For that reason, we showed flowers and water beautifully. Also, trivial things are nice, but I also considered how to form various information in the world around them like interposing something beautiful and fleeting like flowers between scenes. That felt very straightforward. (laughs) I believe that when you accumulate small pieces of information like that, you’re able to convey something mentally to the audience. – Being able to receive points like that without knowing the straightforward language behind the presentation was very nice. It was. That’s why there’s not an issue if you don’t know flower language either. Rather than it just being okay if you’re unfamiliar with it, I think it might be better if you didn’t know the language. The shape and color of that flower is one part of what gets felt inside the heart of someone who sees it. We can use lenses to show something similar to that sensation when blurring the screen to change the attitude and direction of the scene. I thought very much about what a person would want to feel when they see something from their perspective. However, I’m still very much in my research process of that. – Continuing onwards from the bullying scenes in the first half, the colors on-screen and the beautiful objects, like the flowers, interspersed throughout definitely made the story not feel as heavy as it could have been. Ah, thank goodness! But I didn’t want it to feel too light either, so I constructed it while paying close attention throughout. – Director Yamada, your works up to this film have been presented in a similar way to live-action works. With many things revolving around production like Mayu Matsuoka serving as a voice actress, and agraph’s Kensuke Ushio composing the music, this film’s impression feels closer to a live-action film than your previous works. – The performance by the voice actors felt “lively.” Was their performance a part of the film you were aware of during the entire process? I definitely wanted to raise the illusion that the characters would be genuinely living. Even if you took away that illusion’s effects, making them feel “alive” was immensely important for me. – Since Matsuoka-san usually works as an actress in live-action, I was curious what kind of performance she would give as a voice actress. I was shocked that there wasn’t any uncomfortable feeling between her performance and Miyu Irino’s performance of Shoya as a high schooler. – Yes she was. (laughs) Moving from elementary school Shoya to high school Shoya…. felt immensely natural. Matsuoka-san was recorded at the end of the process. Due to that timing, she was able to temporarily hear high schooler Shoya while she was constructing her voice for Shoya. And because of that, Shoya again became Shoya. She told me afterwards that when she heard Irino-san’s Shoya, her Shoya voice spontaneously sprouted into her head. Both Shoya in elementary school and Shoya in high school became one person….a miraculous chance meeting between these two people was held. As they became one person with how they spoke and how they breathed, it was a marvelous performance by both of them. – In this film, I would certainly think that performing the character of Shoko Nishimiya would be a very difficult role. What did you think when you heard (Saori) Hayami’s performance? I thought it was magnificent, truly magnificent. 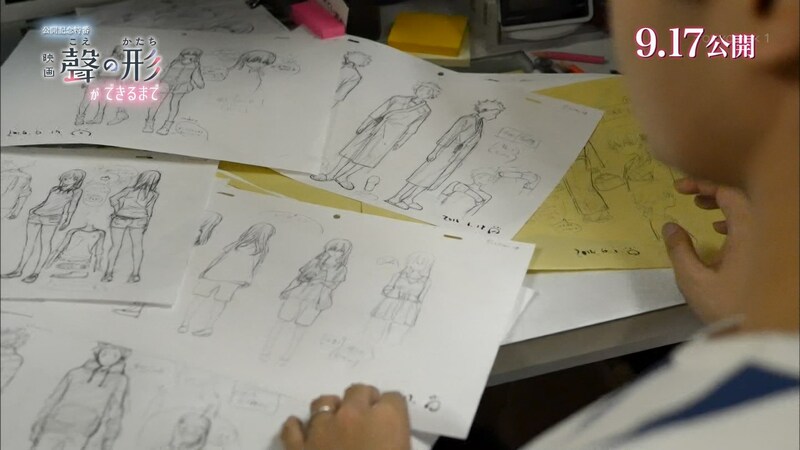 Since I was able to talk to her about the person that Shoko Nishimiya is, she was able to jot down notes and incorporate aspects in her performance. There were bits like “it’s not just that she’s bad at pronunciation like it seems,” she would write how “Shoko Nishimiya would pronounce it like this.” Because of that, we were able to receive the heart of Shoko’s issues. Hayami-san would be able to pursue the surface of how to perform as someone with difficulty hearing, like how to pronounce phrases, but she also gradually gave out the scene of Shoko Nishimiya in her performance. – It wasn’t just with Hayami-san, the other cast members performed in a more realistic manner than an anime-style performance if I have to say so. There were many points where that felt like a strength of the film. I requested actors who felt that this work was immensely fascinating to work on this production. Before we conducted auditions, sound director (Yota) Tsuruoka-san asked me “what kind of work do you want to make with this film?” From there, Tsuruoka-san created an alive atmosphere to place the voice work in. Furthermore, we were able to form it even more with the auditions we received. – The music composed by Ushio-san was also wonderful. Wasn’t it?! Since he gave us such truly spectacular music, I thought “I can’t lose to him with the visuals! I’ve got to hang on and keep going!”(laughs) I might have become aware of him somewhat as a rival for me. There are many similarities between us in how we pursue making something. We get inspiration when we talk about things and we have the same timing when we become aware of something. Personally, I have a lot of empathizing in the way I think I view those types of things. Regardless, when you’re creating something, you have some commonality when it relates to the work, but this time it felt like I slowly became aware that he was a rival to me. Or perhaps he was already at that level and I didn’t realize it until later. (laughs) We would have conversations where we would come at it from our own viewpoints and try this or that and then something good would be born from that experience. – In the beginning with Shoya’s elementary school scenes, The Who’s music is used. Was that Ushio-san’s idea? Ah, The Who was mine…. When he was a child, Shoya was somewhat invincible, had friends, and felt omnipotent, but he was bored under all of that…. I thought surely The Who’s “My Generation” expressed that type of feeling. – When I saw that scene, I instantly felt that Shoya’s character was communicated to me. Instead of placing a lot of scenes and accumulated dialogue, I felt that type of punch used here would communicate it better for people to understand him. – Speaking of the music side too, was your opinion on it detailed in how it was used? I was immensely fixated on the music this time. As A Silent Voice couldn’t be done unless all of its parts fit together as one, Ushio-san and I spoke as frankly as we could to one another until we understood the concepts without saying a single word to each other. We would increase the amount of common points we held and then run until we reached the same point. Due to that, we were able to complete this lengthy three-legged race. – It sounds like you had a lot of dense meetings all around. Since I was very aware of how the imagery and music would have to synchronize, I had a lot of exchanges. I would go to the (music production) studio as well and there I was able to densely produce the music for the film. From doing that, I feel the music in A Silent Voice has a high affinity with the visuals. – The theme song that aiko sings, “Koi wo shita no ha,” also is a song that’s you feel perfectly suits the film when you’re soaked in emotions after appreciating the film. It’s a very good theme song, isn’t it? 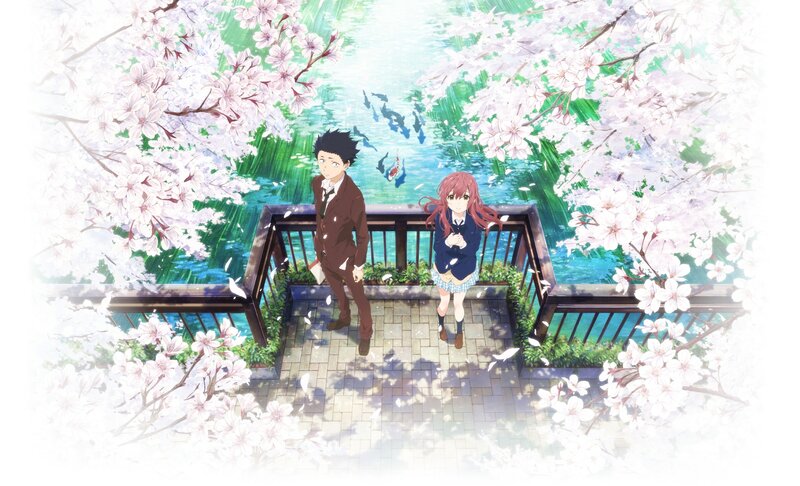 – Even though it started with an incident full of regrets, there’s a faint romance between Shoya and Shoko in A Silent Voice or rather this is also a work that depicts the two communicating about their feelings. I believe aiko gave us one of her characteristic bittersweet adolescence songs to act as representative of that sensation. The phrasing she uses has amazing balance and the dynamic way she sings makes it feel very wonderful to hear. That phrasing matches the lovely piano tones and surely gets close to the story of those two since they left elementary school. – One of the charming points about A Silent Voice is how each character feels individually distinct at points. Personally, I felt that every time Maria appeared, I was a bit healed. She’s so cute…. She definitely became a favorite amongst the staff. In the breakfast scene, everyone was supposed to eat tomatoes, but Maria alone didn’t just get toast, she got plain bread. That was a great addition! Please look for things like that. – In that scene, Maria is troubled… she wants to get down from her chair, but she can’t get down from it. Noticing that, Shoya picks her up and sets her down without saying anything. Depicting that kind of detailed character gesture felt real and showed the kind side of him. It’s a scene where the soft side of Shoya’s core comes out. Through those kind of minor gestures piling up, you sense how the person known as Shoya Ishida is built. – Director Yamada, up until now you’ve handled many works where girls are the focus of the series like K-On! and Tamako Market. This time, the story progresses through the point of view of a boy, Shoya Ishida. What points felt different in comparison to your previous works? That’s true. Up until now I’ve thought “I love girls, so I want to depict girls from here onwards.” Depicting boys is difficult. For example, I thought a lot about what to do if boys who saw the film thought “a guy wouldn’t do something like that.” There’s also a lot of points where the male characters aren’t depicted in traditionally courageous fashion. However, now that I’ve made this film, I feel that the differences between genders are incredibly trivial. If you make something by thinking “what kind of person are they” when looking at their root or the core of who they are, then the problems of “they’re a guy so…” or “they’re a girl so…” become immensely trivial. Because of that, even in A Silent Voice, I portrayed Shoya Ishida just as a person. Looking back at the characters in the works I’ve done up until now, surely I portrayed them like that too. Since I would delve into them by thinking “this girl would think like this and feel like this,” they weren’t depicted with a shallow reason like “she’s a girl, so she would like this.” So surprisingly, I was just worrying over something on the surface of the character. – So by making A Silent Voice, you discovered something new yourself. That’s right. I feel like the way I view things has been considerably strengthened. I’ve attempted to look at the core points of characters now, but now it feels like this was the chance I could properly put that into a form. 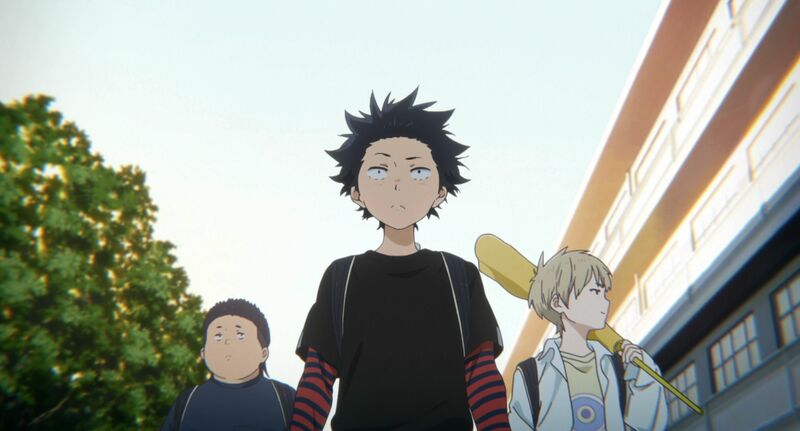 – The character designer and chief animation director for A Silent Voice is Futoshi Nishiya-san, who’s known for his work on Hyouka and Free!. How was working with him this time around? This was the first time that I’ve worked with him. He’s been here two years longer than I have, and it’s been 13 years since I’ve entered this company. Our TV series have episode directors and animation directors from the studio for each episode, but never once have we worked together. – So it was absolutely the first time that you two worked together. That’s right, we finally got together. (laughs) I’m really glad we did. The lines in his drawings swish around but the very stylish image gets strengthened due to that. A Silent Voice itself has sharp elements to it, so I spoke with him about aiming to make it have a soft, warm, gentle work. First we thoroughly untied Shoya. From watching Nishiya-san exchange with me over this and that over a character, I got to see a fatherly sensation sprout inside Nishiya-san…. – So paternal feelings sprouted towards the characters? For the first time, the rounded love he felt was born. As a result, I was able to receive the best images for A Silent Voice. Even for people seeing the film, I feel that the overflowing love Nishiya-san felt surely is conveyed from the screen to your eyes. Since I was by his side watching him draw in person, I was constantly moved by his love for them. – Finally, please give a message to all the readers looking forward to seeing the film. Each of the characters in A Silent Voice carries with them completely different emotions. There’s points where they don’t speak their real feelings, and there’s points where they do speak how they feel. This is an immensely loveable, priceless work where you meet characters holding various layers of emotions inside them. I think the viewers will also certainly get entangled with their emotions at points. Wanting to be allowed to repent and wanting to allow that repenting are both feelings you get caught up in. I think if it becomes that kind of work that gets people thinking about those things, it’ll be great. If you like, please tell me your impressions of it. – So you’re definitely curious about what the audience’s voice will be? There’s still some points where I’m not sure how they’ll receive the content. Of course there will be fans who see it because they love the amazing manga, so I’m curious what they think. I’m curious how people who see this story for the first time think of it too…. I’m so nervous about it. But I think it’s wonderful if it’s a work where there’s something left after you see it. That might also be wonderful if it’s warm as well. “Otou-san Nishiya” for a nickname then. I want to watch Koe no Katachi TT_TT but licensing takes quite a time.